World Football Commentaries: Unbiased journalism and unique content since November 2006. I am the publisher and editor for this site about international soccer that has reached readers in 189 countries. The Soccer Translator: I was the publisher and chief translator from July 2008 to August 2015. I designed and managed Dr. Almo's and Dr. Selvaggio's dental practice website from May 2005 to December 2013. Both dentists were named in Washingtonian Magazine's "Top Doctors" in 2006. World Dragon Kenpo Slayer News: April 2007 to December 2010. I was the editor and site designer for this distance learning project about martial arts, self-defense techniques and alternative health therapies. Frederick Douglass Blog: World History Blogging Network. February 2007 to September 2007. I was the historical editor for this project. I wrote weekly articles comparing current news to writings and events from the extraordinary life of Frederick Douglass. Niccolò Machiavelli Blog: World History Blogging Network: August 2007 to September 2007. I was the historical editor for this project and provided translations from Machiavelli's literary works. I designed and managed a project that won a Golden Web Award in 2002: Gallery Isa. Webmaster at AZTECH Software from 1999 to 2000. Art History: A page that I used to maintain about my favorite paintings and educational art links. Michelangelo Buonarroti: I Live in Hell and Paint its Pictures: September 2008, American Chronicle. Our First Renaissance Man: Leonardo da Vinci: September 2007, World History Blogging Network. Leonardo's Notebooks: October 2013, Amazon.com. (Book review). Museum Observation and Analysis: Comparing two works of Fine Art by Auguste Renoir and Francisco de Goya for an undergraduate course in the Humanities. Acupuncture From A Patient's Perspective: December 2010, World Dragon Kenpo. Acupuncture: May 2006. World Dragon Kenpo. Dolphin Therapy for Children: October 2008, American Chronicle. Fundamentals of Pilates: July 2007, World Dragon Kenpo. Interview with Sooyong Kim, Licensed Shiatsu Therapist, Energy Therapist, and Aikido Instructor: June 2007, World Dragon Kenpo. Introduction to Tai Chi Chuan and Qi Gong: Interview with Dr. Sen Huang. April 2008, World Dragon Kenpo. Shiatsu Therapy: Interview with Gareth Callister-Bischof. March 2007, World Dragon Kenpo. Tai Chi and Qi Gong Seminar: Interview with Coach Ron Pfeiffer: April 2008. World Dragon Kenpo. Tai Chi for Back Pain and Other Modules: Interview with Coach Ron Pfeiffer: September 2008, World Dragon Kenpo. Tai Sophia Institute: October 2006, World Dragon Kenpo. Traditional Chinese Medicine and the Common Cold: February 2008, World Dragon Kenpo. heart, you can go anywhere"
Book Review Portfolio: A separate detailed listing. Many are business, career-related along with a focus on Chinese martial and healing arts, respectively. I was in McGraw-Hill's Business Insider Review program from 2011 to 2015. Author testimonials of my reviews also are included in the detailed listing. Soccer Book Reviews: From 2004 to 2019 at a variety of publications. Answers to Interview Questions was referenced in the e-newsletter of Asktheheadhunter.com® on July 19, 2005. Biographical Sketch of Niccolò Machiavelli: September 2008, American Chronicle. Frederick Douglass: A Sterling Example of Literacy: January 2011, American Chronicle. Excellent Salary Sense: Ask The Headhunter® website. Handing the Bat to Joe DiMaggio: August 2011, No Shortage of Work. Hidden Lessons from Our First Jobs: February 2007, Coaching and Consulting. Larry W. Phillips, Author and Editor of "Ernest Hemingway on Writing." Performancing, February 2008. Selected Quotes from Ernest Hemingway on Writing: December 2008, About Freelance Writing. Should I Invest in the Stock Market? December 2009, Answerbag. The Art and Science of Interviews: December 2008, Football Media. Why Is Dressing Down the New Dressing Up? July 2008, American Thinker. I was asked to contribute perspectives about dress codes in the workplace. Your Current Value is Not Determined by Your Last Salary: April 2007, Coaching and Consulting. Career Trend Portfolio of Job Descriptions: 2011. Chron.com Careers Portfolio of Job Descriptions: 2011.
eHow Careers Portfolio of Job Descriptions and Training Articles: 2010 to 2011. Comparing Two Works of Fine Art by Auguste Renoir and Francisco de Goya: For an undergraduate course in the Humanities. Differences between the Tokyo and New York Stock Exchanges: For a course in International Finance. How to Reduce the Threat of Terrorism: For a course in Human Resources Management. To read the above three referenced works, please click here. The Man Who Stopped a War with a Ball: For a course in Children's Literature. The Soccer Translator: July 2008 to August 2015. Translations of coaching education resources, profiles of top managers, interviews, commentaries and book reviews. Big Stan: June 2006. Italian to English translations of martial arts publications for a motion picture by Rob Schneider. International Herald Tribune World Cup 2006 Fan Blog: Four (1, 2, 3, 4) Spanish to English translations. Niccolò Machiavelli Blog: World History Blogging Network: August 2007 to September 2007. Selected Italian to English translations. I was also asked to contribute brief translations about his views on military experience. I have conducted two interviews in Spanish and Italian, respectively, for Keeper Skool of Australia. 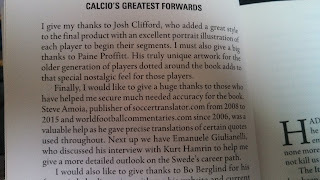 I have also contributed many translations at Soccerlens, Italian Soccer Serie A and Beyond The Pitch et al, respectively. Anatomy of the Heart: June 2008, World Dragon Kenpo. Introduction to Diabetes: December 2008, World Dragon Kenpo. Introduction to Osteoarthritis: March 2009, World Dragon Kenpo. The Brain and Bodily Movements: May 2008, World Dragon Kenpo. Interview Portfolio: Alternative health therapies, career-related themes, international soccer, martial arts, psychology, and travel, respectively. 10. International Soccer Journalism: 2005 to present. AC Cugini Scuola Calcio Archive (Italian Soccer School): Calcio Connection Column. Commentaries and interviews from 2005 to 2007. Beyond The Pitch: Italian and Spanish to English translations and diverse commentaries from 2011 to 2014. Brainbench World Cup History Test. I contributed translations from Italian newspapers for this book project. Image credit: Pitch Publishing Ltd.
Copa America Argentina 2011 Fact Sheet e-book: A 19-page guide to the quadrennial South American championship for Beyond The Pitch. 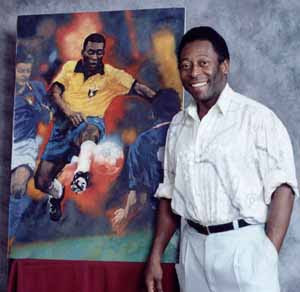 Football Media: Contributing writer during 2008.
International Herald Tribune 2006 World Cup Fan Blog: "The IHT invited soccer fans around the world to participate in a blog during the World Cup. About 15 readers were selected to send submissions until the final match on July 9." Italian Calcio and History of the Azzurri: A site that I maintained from 2000 to 2008. This site was named "Best of the Web" in 2006 for the Italian National team. Italian Soccer Serie A: Italian to English translations, commentaries and two interviews from 2010 to 2011. Keeper Skool (Australia): Commentaries from Euro 2008, Interviews, and Profiles of the Legends: February 2008 to November 2008. Soccerlens (UK) Portfolio: Commentaries, Interviews and Translations: October 2007 to July 2010. World Football: A site that I maintained from 2000 to 2007. The Soccer Translator: July 2008 to August 2015. Italian, Portuguese and Spanish to English translations, respectively. Why Do Americans Call it Soccer? 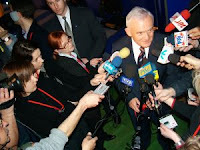 October 2007, Soccerlens. World Football Commentaries: November 2006 to present. This site was the successor to my World Football project. Unbiased journalism and unique content. News, live scores, commentaries and book reviews about international soccer. "We've been down this road before on immigration." A Letter to the Editor in response to a Washington Post editorial on 26 January 2017 entitled, "Trump's politicized immigration acts are at odds with American values." My letter was published in the newspaper on Sunday, 29 January 2017, on Page A20. I discussed how Southern Europeans et al, specifically Italians trying to flee Fascist Italy, were targeted by severe quotas in the U.S. 1924 Immigration Act. "Soccer's Little Big Man": A Letter to the Editor on 24 June 1990 in the New York Times Magazine discussing foreign professional soccer players with college degrees. World Dragon Kenpo Schools of Self-Defense (WDK), Lake Geneva, Wisconsin. This was an e-learning program for self-defense and Tai Chi. I was a contributing writer at WDK from December 2005 to December 2010 and became the editor of the newsletter in late 2007. Some articles from this project are located in other sections of my writing portfolio. June 2009: I co-authored an e-book that documented the entire self-defense system. Benefits of Martial Arts Training for Other Sports: June 2009. Book Review: The Art of War: Part 1. August 2006. Book Review: The Art of War: Part 2. September 2006. Book Review: Bruce Lee Fighting Method: Skill in Techniques: March 2010. Bruce Lee: The Great Innovator: March 2010. Bruce Lee Television Interview (1971) with Pierre Berton: October 2007. Four Orange Belt Self-Defense Techniques: April 2007. Four Purple Belt Self-Defense Techniques: May 2007. How to Typeset a Book: November 2007. Impact of WDK on Personal Defensive Techniques: December 2005. Legends of Kenpo: Lee Bachman: April 2006. Legends of Kenpo: Elvis Presley: November 2006. Legends of Kenpo: Jeff Speakman: January 2006. Preparation: A Mental and Physical Process: August 2007. Press Releases: August and September 2008. Ray and the Roadrunner: December 2006. SAMBO: The Russian Martial Art: December 2007. Self-Control: The Example of Jackie Robinson: April 2007. Summary of Dragon Kenpo Karate: January 2007. Three Yellow Belt Self-Defense Techniques: February 2007. The Example of Sergeant Salvatore A. Giunta: December 2010. The Law and Self-Defense: Interview with WDK Instructor and Law Enforcement Officer Ed DellaCroce: December 2010. The Lost Art of Showing Respect: June 2006. 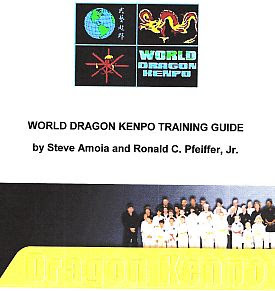 World Dragon Kenpo Training Guide: June 2009. An e-book that documented the entire self-defense system. Cognitive Behavioral Treatment: January 2006, World Dragon Kenpo. How to Deal with Toxic People: An Interview with Andrew T. Durham: January 2008, World Dragon Kenpo. Interview with Dr. Alfred C. Thompson, Clinical Psychologist: A Former Student from Virginia Tech Discusses the Tragedy: September 2007, World Dragon Kenpo. Man's Search for Meaning by Dr. Viktor Frankl. Health-Fitness-Mind-Body Bestsellers. I reviewed this book for Amazon.com in September 2002. Snakes In Suits: When Psychopaths Go to Work: April 2007 by Dr. Paul Babiak and Dr. Robert Hare. The authors included my Amazon.com review on their book's promotional site. Alternative Therapies to Treat Sport Injuries: March 2010, World Dragon Kenpo. Interview with Dr. Craig Panther of Pure Sports Medicine of London and the Team Physician for the Fulham Football Club of the English Premier League: November 2007, Soccerlens. Sport Injuries: July 2006, World Dragon Kenpo. Tiger Balm: November 2006, World Dragon Kenpo. Treatment for Back Pain and Spasms: September 2008, World Dragon Kenpo. Ergonomics of Healthy Computing: June 1997. Financial Planning in the Millennium: June 1999. Multi-Cultural and Gender Communication Styles in the Workplace: June 1998. Online Help System: June 1997. Favorite Places: The Kennedy Center in Washington, D.C.: August 2006, Current Newspapers. History and Basics of Polo: This was web site content for an import business in 2002. Interview with Sarah Glass: Correspondent and Photographer of the Tristan Times: February 2006. Tristan da Cunha Times (Originally published at AC Cugini Scuola Calcio). This publication is located on the most remotely populated island in the world. Ranch Life in Montana: September 2008, American Chronicle. Tanked-up Underwater Imaging from Dahab, Egypt on the Red Sea: February 2008, Soccerlens. The 10,000 Lira Note: February 2008, Italiansrus.com. This was also published in June 2008 at La Gazzetta Italiana newspaper in Ohio.